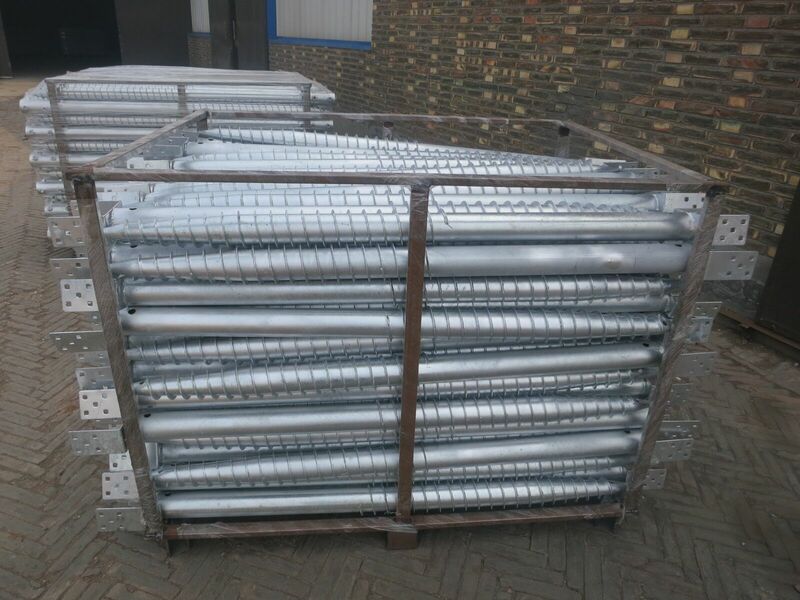 Product categories of U Ground Screw, we are specialized manufacturers from China, U Ground Screw, Galvanized Ground Screw suppliers/factory, wholesale high-quality products of No Digging Ground Anchor R & D and manufacturing, we have the perfect after-sales service and technical support. Look forward to your cooperation! U type Ground screw has one obvious feature that there is one similar U shape flange on the top of pipe. About the U shape flange, we mainly have two types: one is with two or three holes separately, the other is with five holes. These holes are used for installing bolts for fixation on the timber piles. The U open size on flange is very important when you use the product. Because the U open will be installed out of timber pile. Under U flange, there are two holes that you can insert metal bar to screw the U Ground Screw by hand. You can use U Ground Screw in wooden house, fence or other timber piles in construction.